The Adorn® Professional Paint Brush set includes 3 superbly engineered paint brushes comprising 1” 1.5” and 2” widths providing a solution for a host of decorating projects. The brushes feature high performance synthetic filaments designed to ensure excellent paint pick-up with even paint spread and a smooth finish with every brushstroke. The brushes perform well with all paints, especially high solid and heavy-bodied latex coatings which can be difficult to apply smoothly. The brushes reduce the risk of drips and runs with the least possible mess - helping to create a consistently flawless finish and prefect painting results. The Adorn® Professional Paint Brush set has been carefully crafted to guarantee zero filament loss. This means no splaying filaments, just an even and precise finish with no stray filaments. The bare wood handles are handcrafted from solid beechwood for a traditional, quality feel and are ergonomically designed for a comfortable grip and maximum control making for precision cutting-in and professional quality results - every time. The Adorn® Professional Paint Brush set is available in a useful box which helps to protect and maintain the brushes. 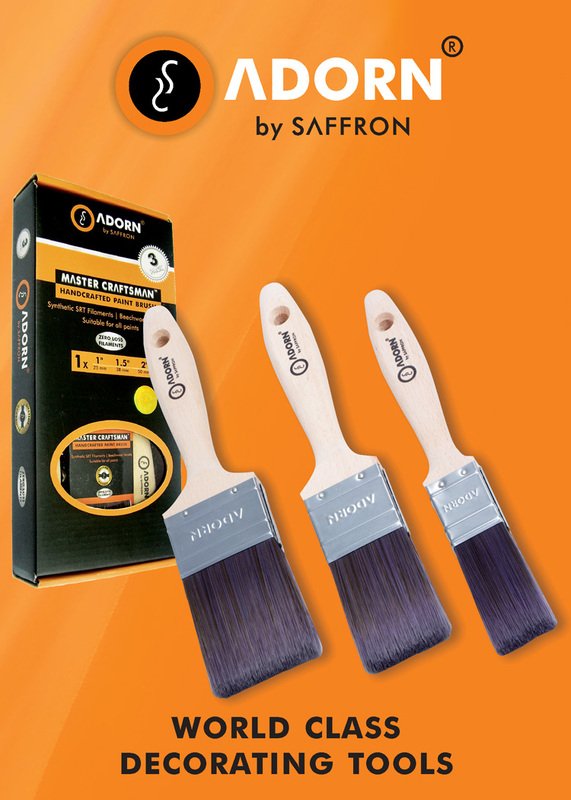 The Adorn Professional Paint Brush set retails from just £16.04 and is available from http://www.amazon.co.uk.